seasoned tech companies in the cannabis industry. Our comprehensive cannabis software and business solution covers the requirements of compliant seed-to-sale tracking and data reporting in every state. Tracking and reporting tools customized to your jurisdiction’s regulations, plus tons of extra features to help you operate every aspect of your licensed cannabis business including comprehensive reports, data-driven marketing tools, integrated hardware for minimal data entry, and customizable workflows to make your solution work for you; not the other way around. Our dedicated team of industry insiders is unmatched. Setup reminders for whatever you’d like. From watering schedules to nutrient and pesticide applications. Make sure you, and more importantly, your team, never miss a beat. Monitor Pesticides and Nutrients applied, log Strain Notes detailing light and watering cycles, plus review Past Harvest Data to optimize your future yields. Record and track crossbreeding, plant genetics and monitor clone potency results. 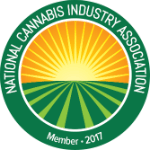 Learn more about our Cannabis Cultivation Software! Add several product details to your inventory items, printing key information directly on your labels including ingredients, potency results, plus a reactive expiration date that can lock a product if it’s past expiration, and much more. Want to convert flower into oil? Oil into edibles? Convert products into single or multiple by-products, while maintaining a complete chain of custody, logging cost per gram calculations and product notifications and recalls. Easily generate invoices and purchase orders for record keeping and safe, compliant business practices. Learn more about our Cannabis Processing and Manufacturing Software! Out-of-the-Box Customer Relationship Management (CRM) tools to reward loyal customers and referrals. Setup targeted email and text campaigns based on customer’s favorite products, last visit date, purchase history, birthdays and more. Eliminate data entry and human error with integrated hardware that populates metrics right on your screen. Weigh directly into the computer, scan patient ID’s and populate customer profiles, with a single action. Through our dedicated integration partners, BioTrackTHC is able to offer an online ordering portal integrated directly to your cannabis POS to create a memorable digital experience for your dispensary. Through our dedicated integration partners, we’re able to offer an array of in-store technology from online ordering, digital menu displays and more, that are directly integrated with your cannabis POS inventory. Learn more about our Dispensary Point of Sale! Everything from online ordering and digital menu boards, to intelligent Customer Relationship Management tools, all directly integrated to your BioTrackTHC cannabis POS. Hardware and equipment directly integrated to your cannabis software solutions to reduce human error and create an integrated technology structure. Through our corporate partners, choose from multiple, world-class security providers specializing in cannabis security. From secure transport and armed guarding to comprehensive, integrated security technology and camera systems. Learn more about our Partner Companies! Every license type, in every state. BioTrackTHC is the only full vertical cannabis software that’s fully integrated with METRC in each and every state. After the initial setup of the integration, users will never have to login to METRC again. However, it is still considered a best practice to periodically login to METRC. BioTrackTHC is fully integrated with Leaf Data Systems for all license types. Naturally, we’re fully integrated with all BioTrackTHC State Traceability Systems. Learn more about our Fully Integrated Cannabis Software! BioTrackTHC is the only cannabis software to offer either a locally hosted server option or a cloud-based server option for your business. We understand that the needs of every licensed cannabis business are unique, so we provide the freedom to store your data where you please. The only locally-hosted software solution in the cannabis industry. Enjoy the industry-leading security standards of AWS cloud hosting with BioTrackTHC. Not sure what type of hosting server is right for your business? Track and manage thousands of plants and products down to the exact milligram. Eliminate data entry and human error with integrated hardware that populates metrics right on your screen. Quickly review your entire inventory for reporting or reconciliation practices. Create customizable labels with your company information, logo, and so much more! Learn more about our All-In-One Cannabis Software! As the first true seed-to-sale tracking solution to cover the full cannabis vertical, we’ve been with you since the beginning, adapting and changing right alongside the industry. BioTrackTHC's comprehensive cannabis software features a full business suite to increase efficiency and accountability by monitoring and reporting key data points during the full cannabis seed-to-sale lifecycle. The BioTrackTHC State Traceability System enables government agencies, at the state and local level, to track the production, transportation, destruction and sales of legal cannabis. The largest and most experienced seed-to-sale cannabis software provider in the industry. With our cannabis software actively operating in 34 states, DC, Puerto Rico, Jamaica, Canada, Colombia, Australia, and New Zealand, we know what it takes to launch a successful cannabis business in your jurisdiction. No active program in your area? Click your state to see the latest legislative updates! BioTrackTHC has been officially acquired by Helix T.C.S. (OTCQB: HLIX), the premier provider of compliance and security solutions for the legal cannabis industry. Through this merger, under the Helix umbrella, we will be able to significantly increase our ability to deliver outstanding technology, capabilities, and service to the cannabis industry. Have one of our industry experts show you the ins and outs of our system.